The Ares Quantum Standard RTF is smooth and responsive, suitable for both indoor and outdoor flight and, of course, tough. Offering all the presence, control authority and flight stabilization assistance of the camera-equipped Quantum FPV, while also maintaining the 360° flip function, for when you get really proficient, this is the way to enjoy quad flying in its purest form. But that’s not all, to help you progress the Quantum Standard features three different flight modes that vary from super-stable to fast and furious, and its got lights too! Four bright LEDs on the underside coupled with a forward-facing headlight make night flying a practical, fun proposition. Size Matters: When it comes to outdoor flying there’s no substitute for size and this is where the Quantum scores. Being larger it’s able to tackle wind strengths that smaller quads struggle to handle. Steady as She Goes: With its state-of-the-art flight control system featuring independent motor accelerometer processing the Quantum irons out gusty conditions and keeps you locked on the level. 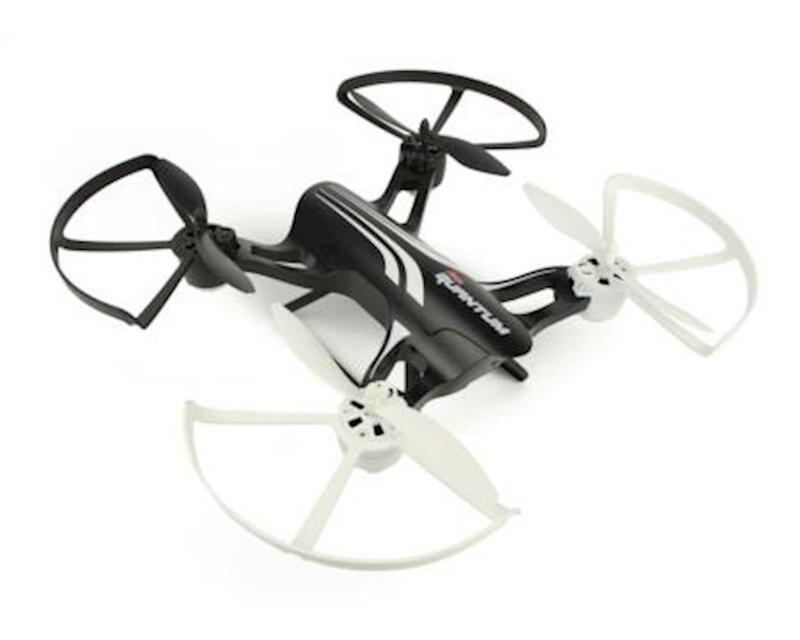 Flight Modes: Three different flight modes, that vary from super-stable to fast and furious, offer increased maneuverability with each step, allowing you to expand the capabilities of the quad as your flying skills grow. Highly Visible: Thanks to its contrasting front / rear colour scheme, ultra-bright downward-facing LED lights and forward-facing headlight the Quantum is highly visible, even in the dark!